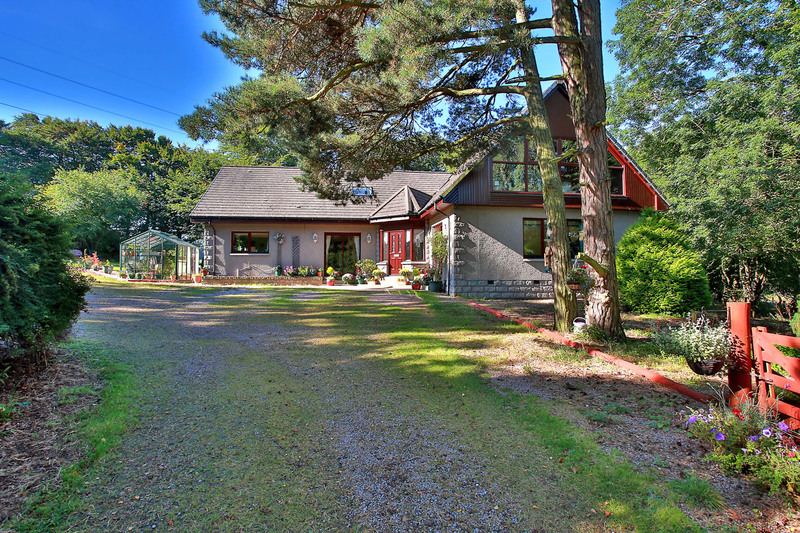 7 Bdrm Detached Villa in app 1 acre. Ground flr: Porch. Reception hall. 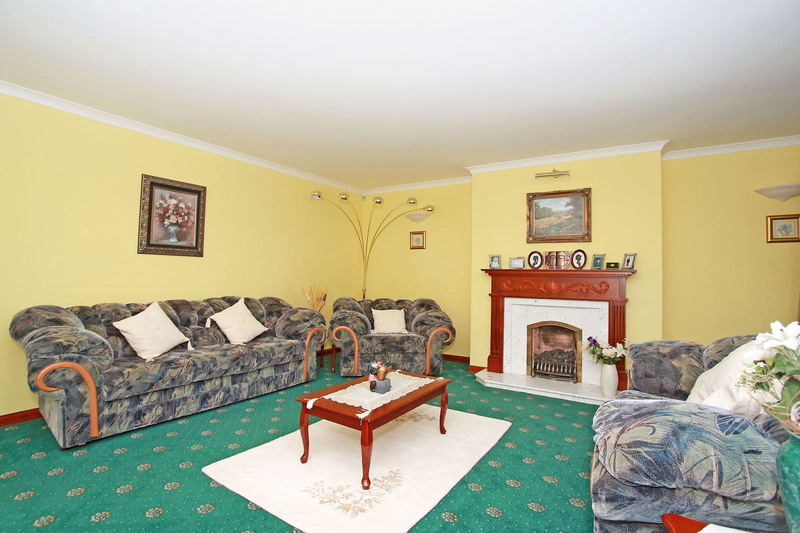 Lounge/Dining area. Sitting rm. Dining kitch. Utility rm. 4 Bdrms. Shower rm. Bathrm. 1st flr: Sun lounge. 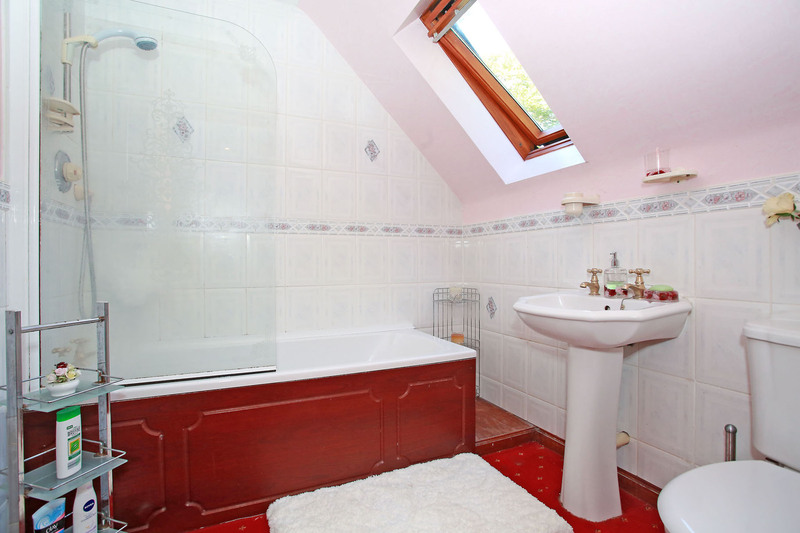 3 Bdrms 2 with ensuite & 1 with dressing rm. Stable block (CT band - G). Garden. Parking. 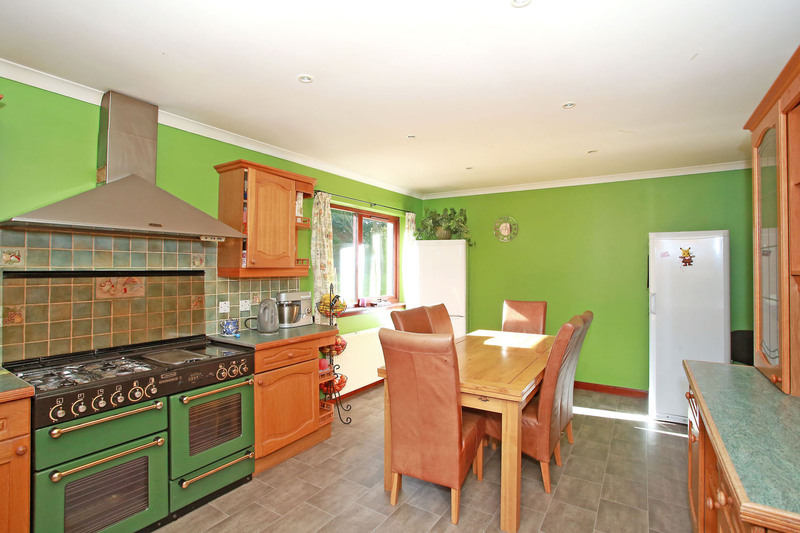 Price over £475,000 Entry by arr. Viewing contact solicitors. (EPC band - D). 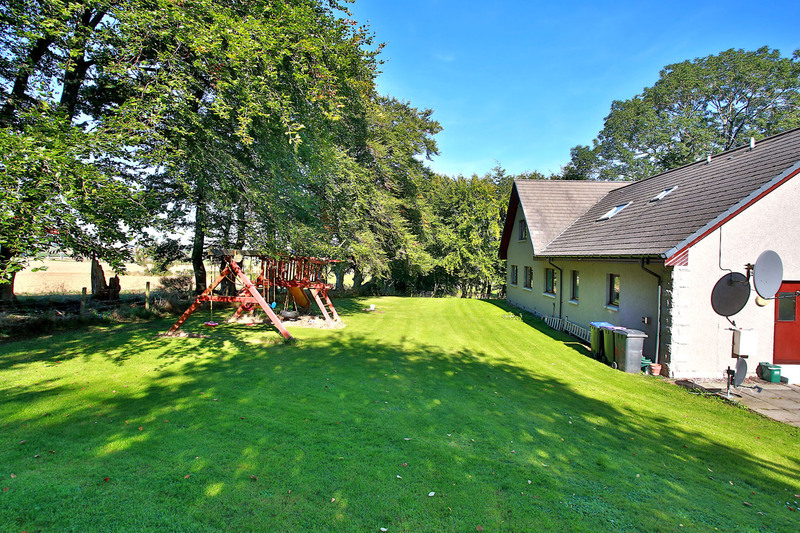 This seven bedroom detached villa is situated on the outskirts of the small hamlet of Durno which lies in the heart of rural Grampian, within easy reach of Inverurie. 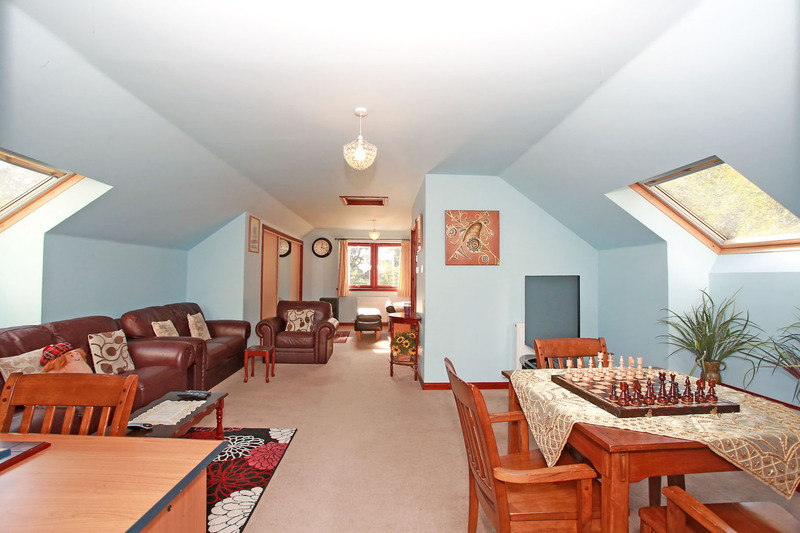 Spanning two floors, rooms are very well proportioned and versatile and there are bedrooms and bathrooms on both levels. 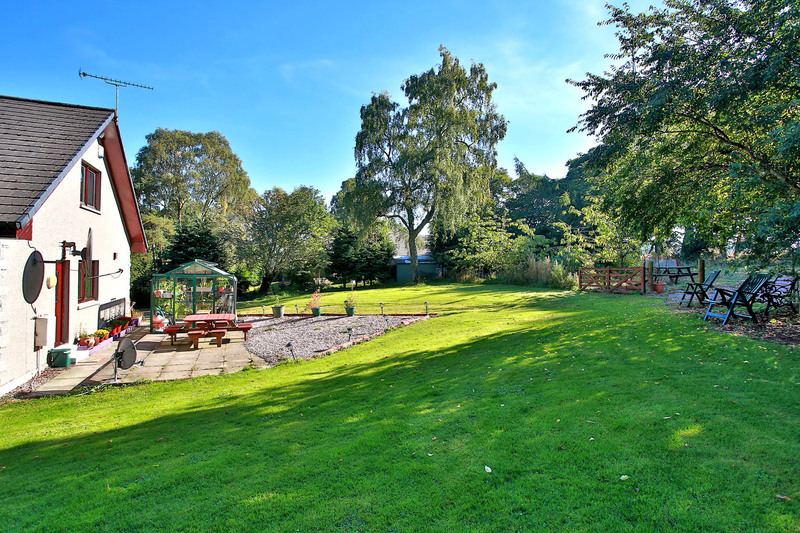 Sitting centrally in large garden grounds, the property enjoys a privacy screen of mature trees, there are open countryside views and a flood of light throughout. Decoration is a mixed palette of neutral, vibrant colours and wallpapers, flooring is a blend of carpets and vinyls, and as the curtains, blinds and white goods are to be included in the sale, potential buyers can move with ease. 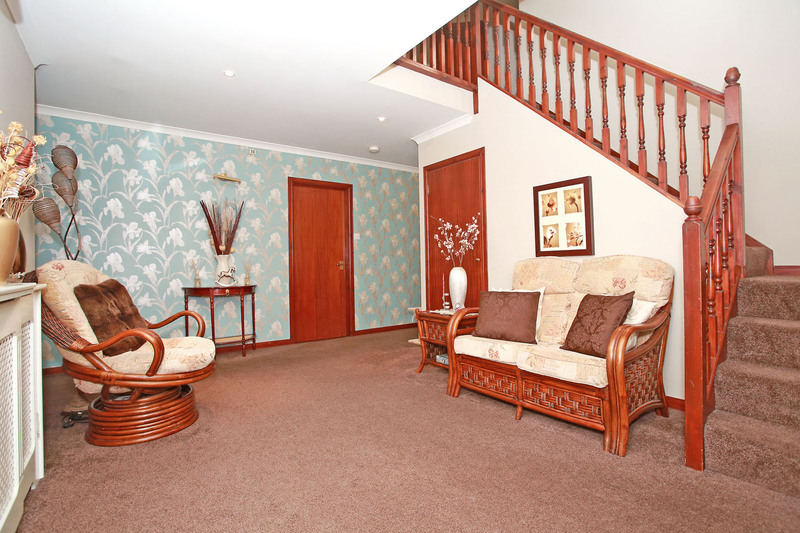 On the ground floor, there is an entrance porch opening to a wide and welcoming reception hallway with sitting area. There is a very spacious lounge with dining area, dual aspect glazing and a fireplace with living flame fire provides an additional focal point. 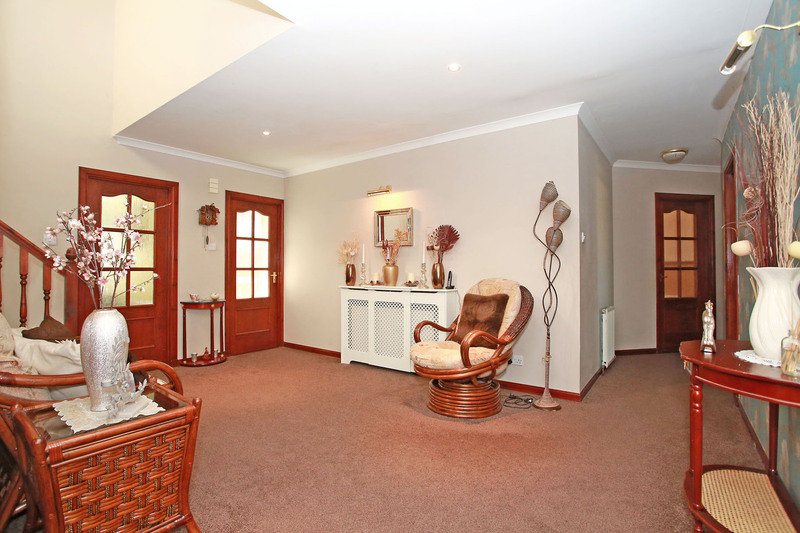 An informal sitting room has patio doors that open to the garden. 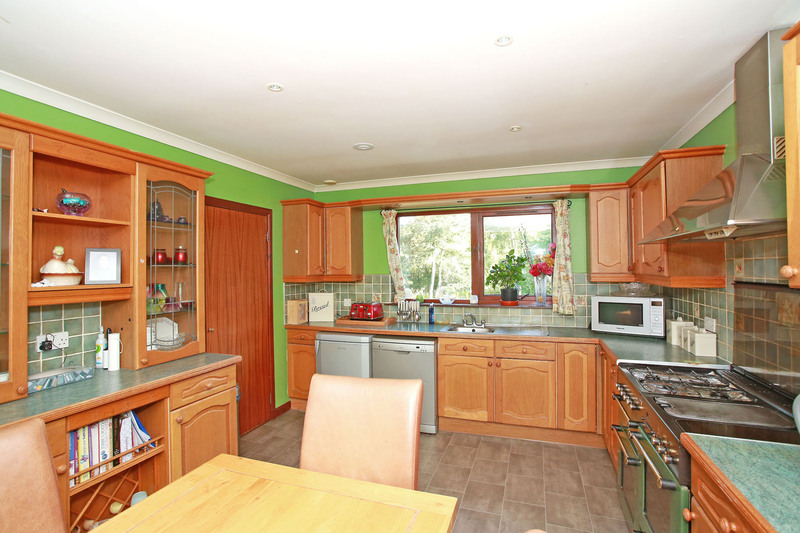 The kitchen, with ample space for dining, features a comprehensive range of oak wall and base units with laminate worktops, it has a range cooker, dishwasher and a fridge, and twin aspect windows afford good light. 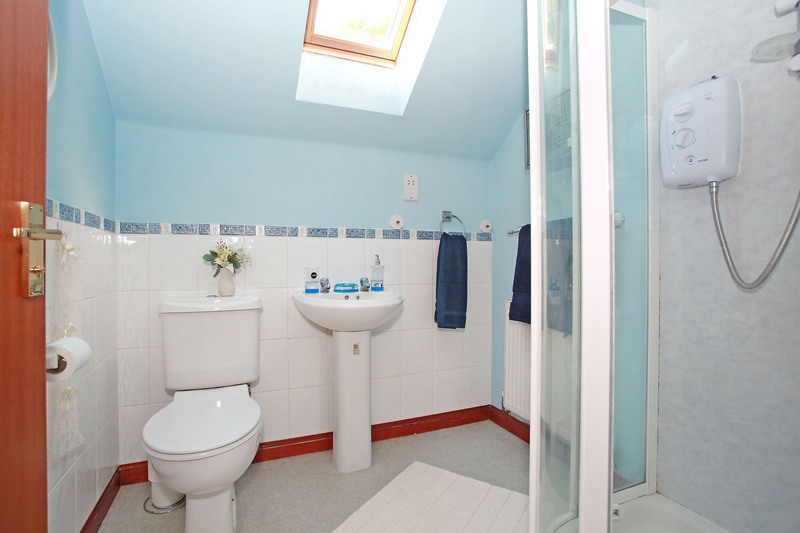 The utility room is fitted with laundry appliances, a rear lobby provides access to the garden, and there is a boiler room housing the central heating boiler. 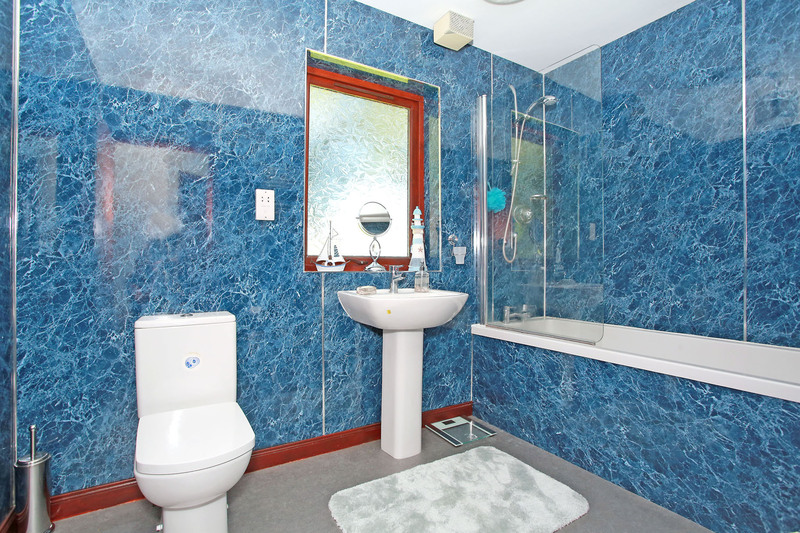 A family bathroom on this level has aqua wet wall panelling, and there is also a shower room with toilet and basin. The ground floor is completed by four bedrooms, three of which have built in wardrobes. Upstairs the galleried landing is naturally lit by a Velux roof window. 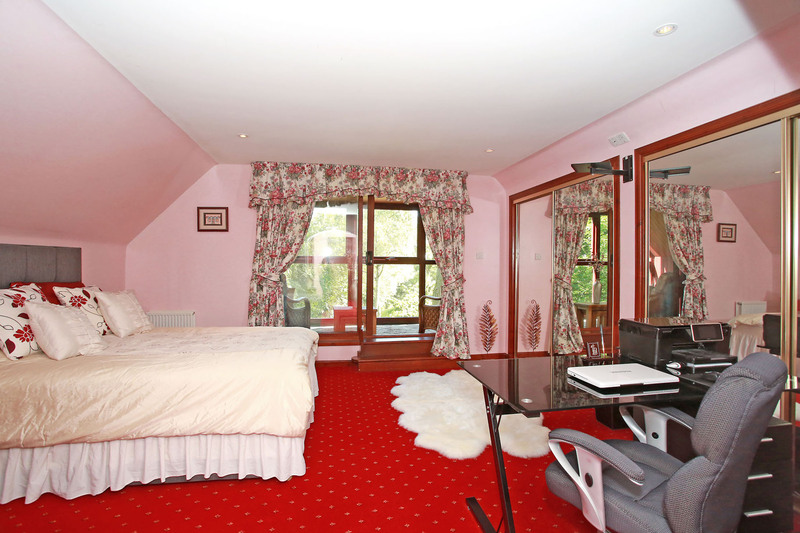 The master bedroom has wall to wall mirrored wardrobes, it also has a dressing room and an en-suite bathroom. 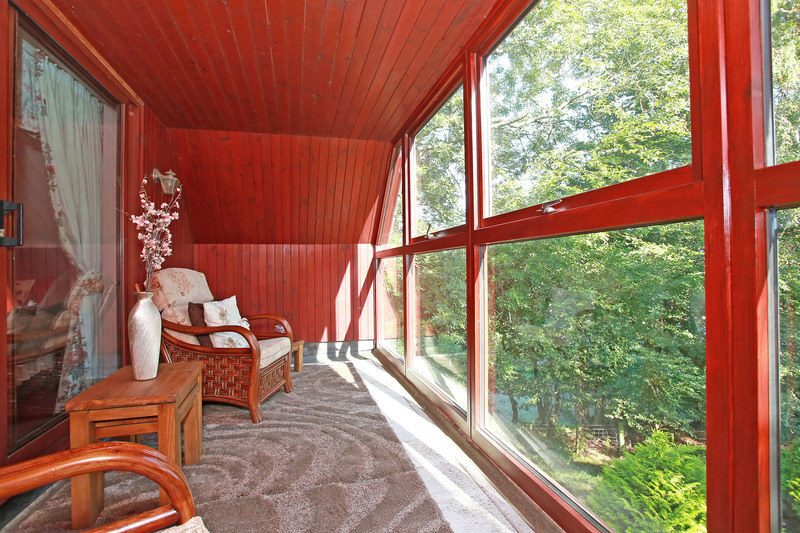 Particularly noteworthy is the sun room which leads off the sleeping area and offers a picturesque view and superb light. 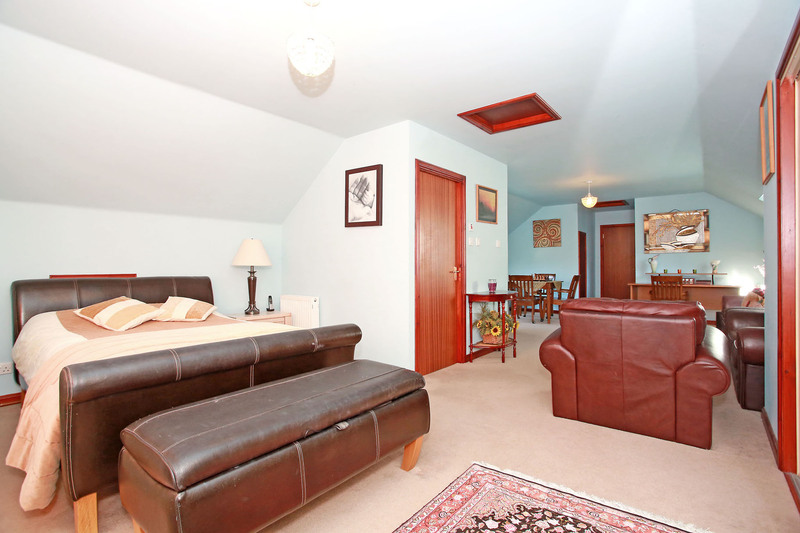 There is another double bedroom to the rear, with extensive built in wardrobes. A bedroom suite provides the ideal guest or teenage accommodation and occupies an entire wing: it comprises a comfortable seating area with Velux windows on two aspects, there is a bedroom with built in wardrobes, and an en-suite shower room. 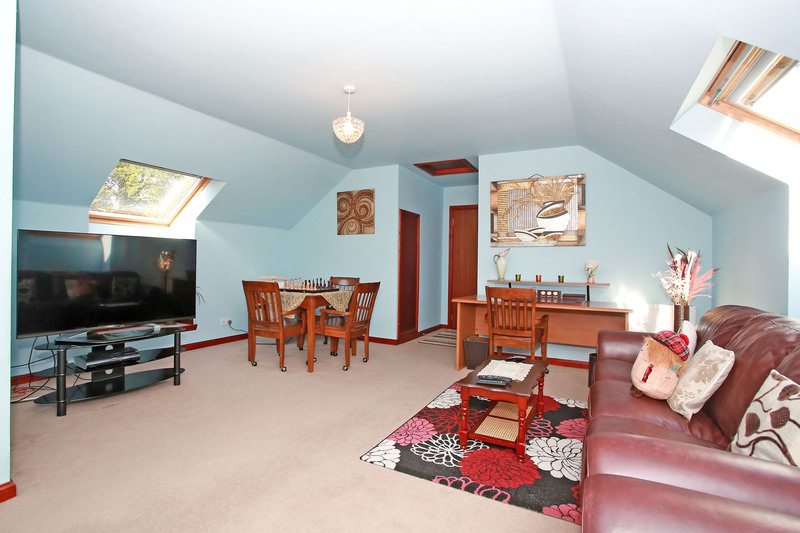 Location Durno is a charming hamlet located some 7 miles from Inverurie and approximately 22 miles north west of Aberdeen, within commuting distance of the city and the airport. The village has a local primary school and secondary education is catered for at Oldmeldrum Academy. Nearby, Inverurie lies approximately 16 miles north of Aberdeen with excellent dual carriageway and rail links to the city. There is a wide range of shopping facilities in the town centre, a health centre, library and community centre. Inverurie also has a wealth of highly regarded hotels and restaurants, three primary schools and a secondary school. 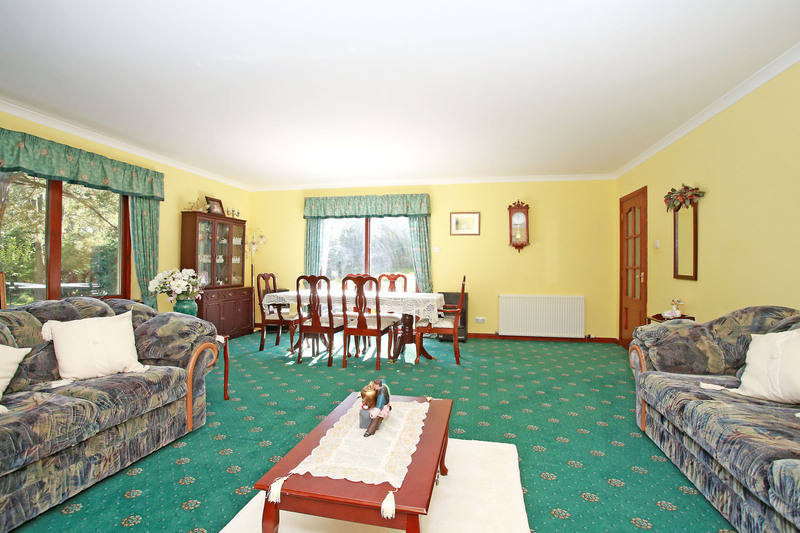 Leisure pursuits are well catered for with a swimming pool, sports centre and golf courses. Directions From the A96 towards Inverness, pass Inverurie and immediately after the Pitcaple sign, turn right towards Whiteford and Durno. On entering Durno, take the first track on the left hand side, pass the row of new houses and 0.3 miles along, turn left on to a concealed track and Craighead of Durno is the last house on the right hand side. Garden The gardens that pertain to the property are enclosed by fencing and include large sections of lawn, a vegetable garden, fruit trees, a paved patio, an area covered in granite chips and there is a greenhouse, a hen run and a 10m x3.5m stable block which is presently used for storage. Set in some one acre, the gardens enjoys open countryside views, there is a variety of shrubs, and a shelter of mature trees. Parking Driveway parking for numerous cars. Fixtures and Fittings All carpets, curtains, window blinds, light fittings and white goods are to be included in the sale. Services Oil fired central heating. Double glazing. Security alarm system. Septic tank.